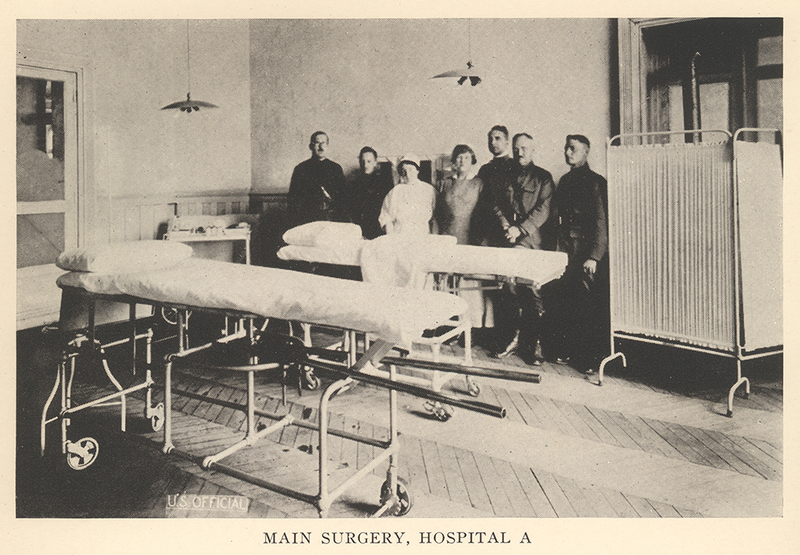 The first steps in organization were the official designation of the different hospital buildings by letters and their division and assignment to the surgical and medical sections. 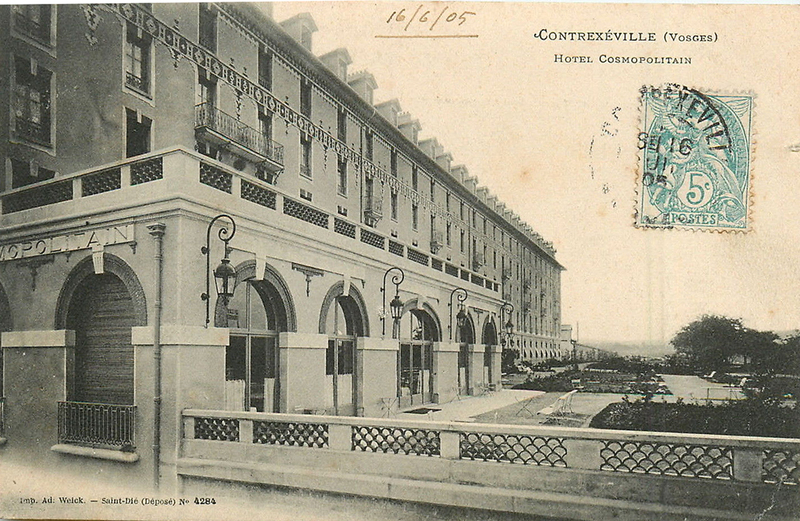 The Cosmopolitain, Hospital A, which was to be the principal surgical building, was to be supplemented by the Paris, Hospital B, an auxiliary surgical hospital which was designed to take care of the overflow from A and to handle convalescent and minor surgical cases. 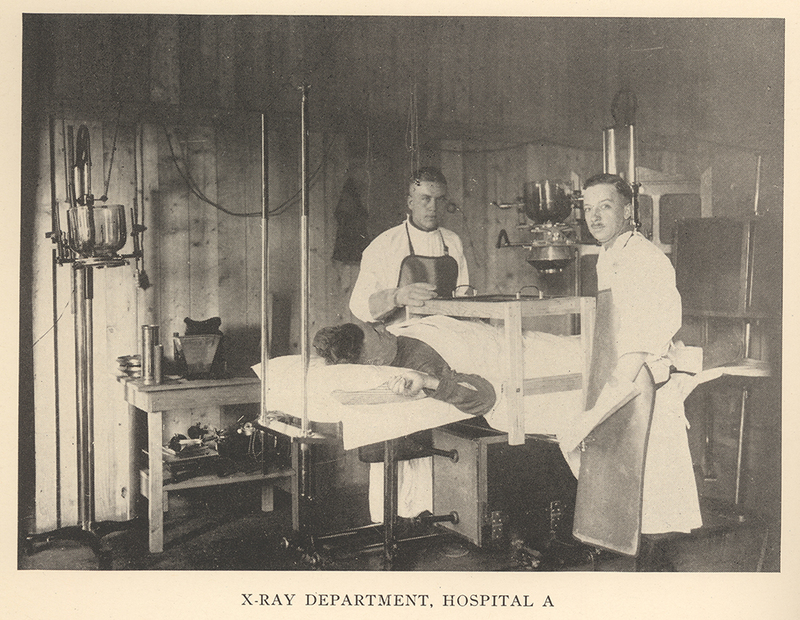 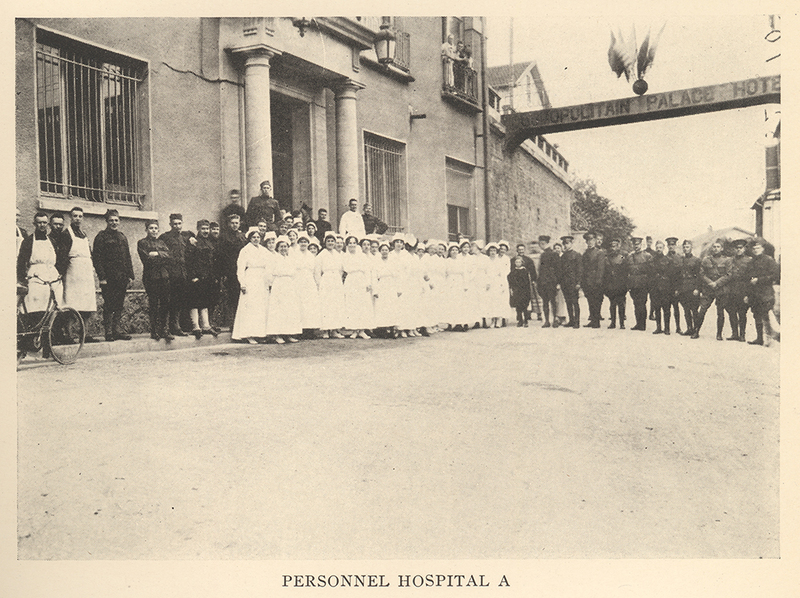 The medical section, with its headquarters offices in the Royal, was to comprise Hospitals C, D and E, the Providence Annex, Royal and Providence, respectively. 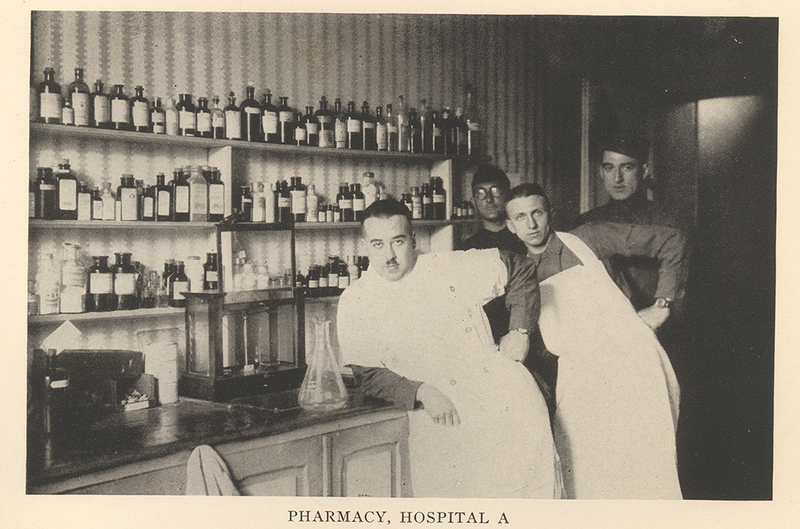 The pharmacy supplying the medical section was to be located on the first floor of the Providence, together with the medical laboratory and an auxiliary X-ray outfit. 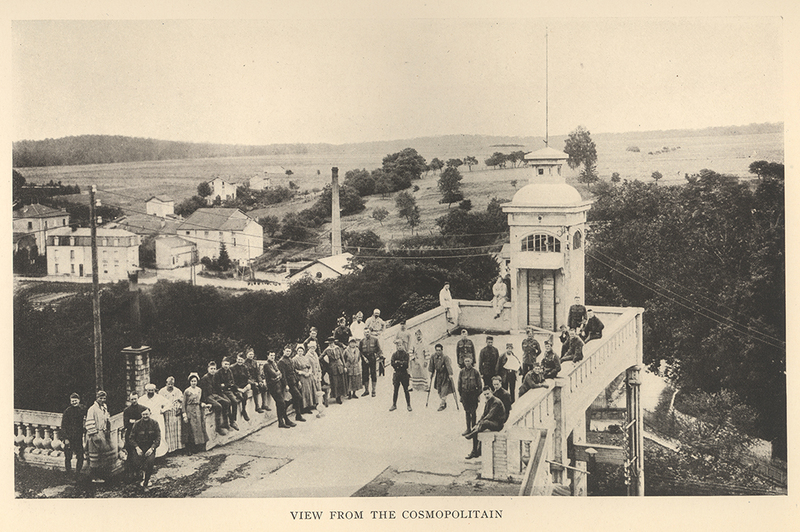 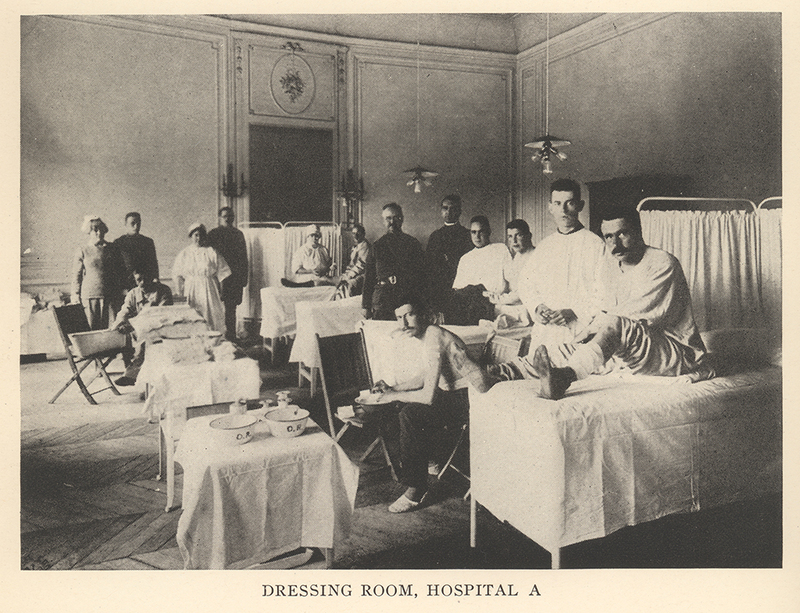 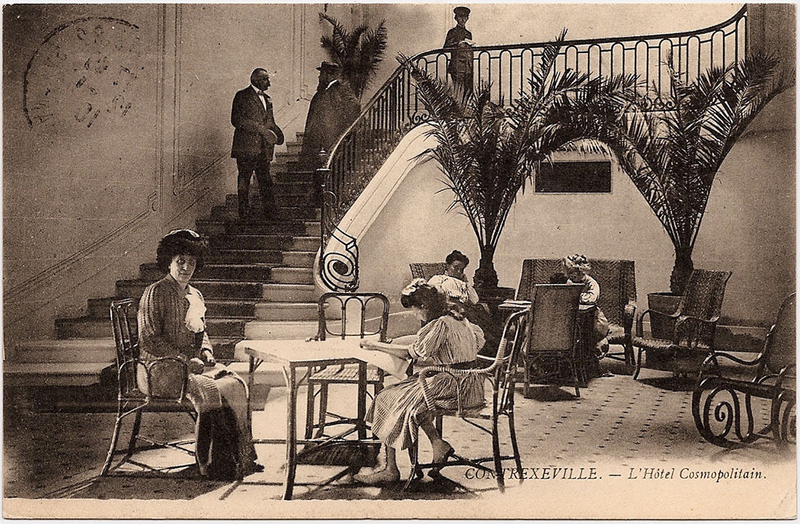 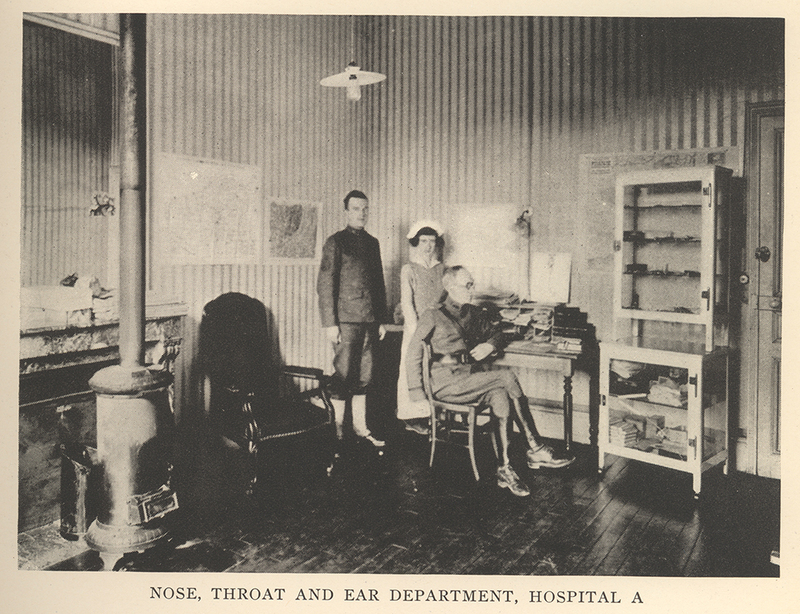 A room on the ground floor of the Cosmopolitain was to serve as a hospital supply room for all of the buildings. 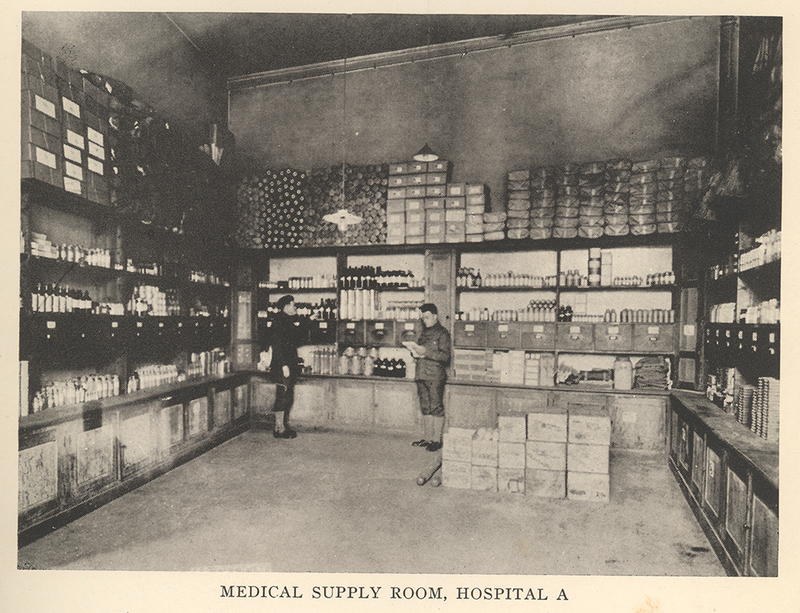 From here pharmaceutical supplies would be issued to the two pharmacies, and all other supplies issued direct to the individual buildings on requisition. 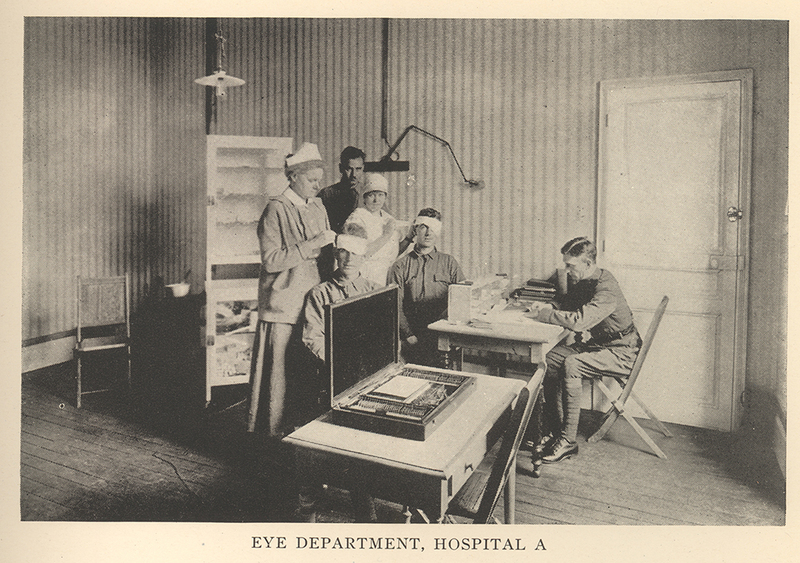 It was expected that the work of the hospital would be to a large degree surgical, and the Cosmopolitain, on account of its size, and because its spacious, well-lighted salons were admirably adapted for surgeries, was selected as the main surgical hospital. 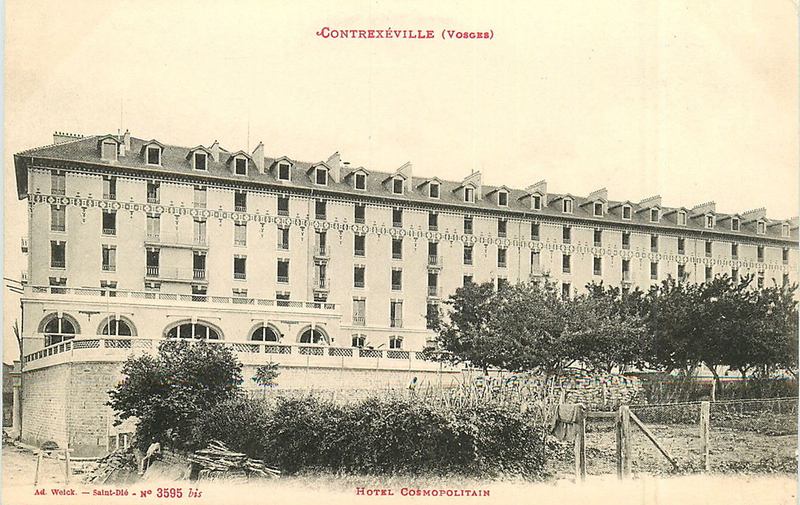 The Cosmopolitain was a six-story structure faced with stucco and trimmed with sandstone. 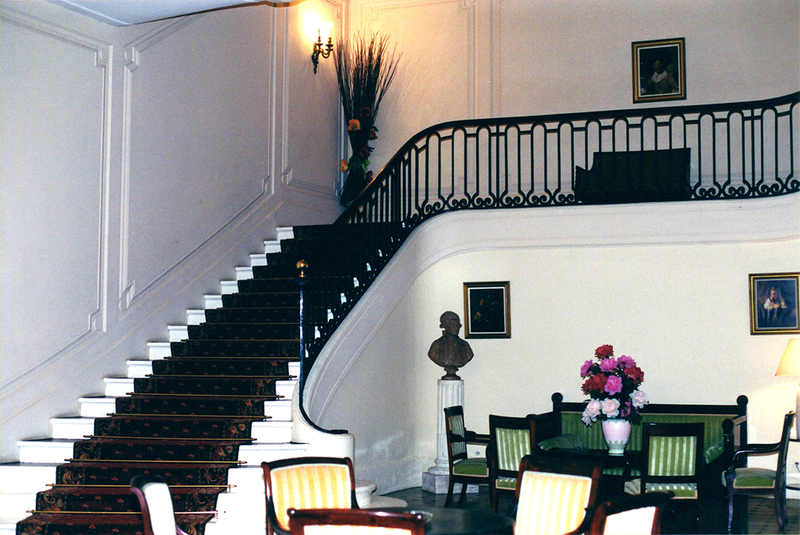 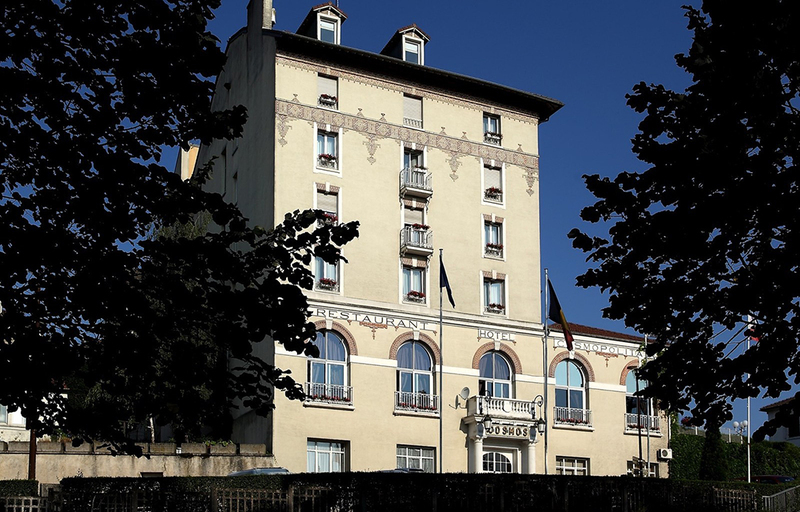 Owing to the slope on which the hotel was constructed, the first floor opening on to a spacious lobby, became the basement farther back, and housed the kitchen and a small central heating plant. 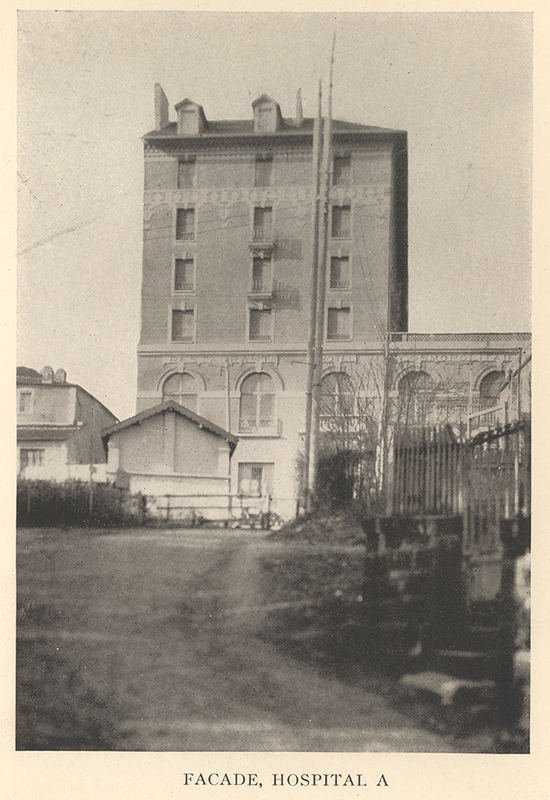 This heating plant, although probably sufficient for the summer season during which the hotel operated, was entirely inadequate for winter weather, and was supplemented by small heating stoves. 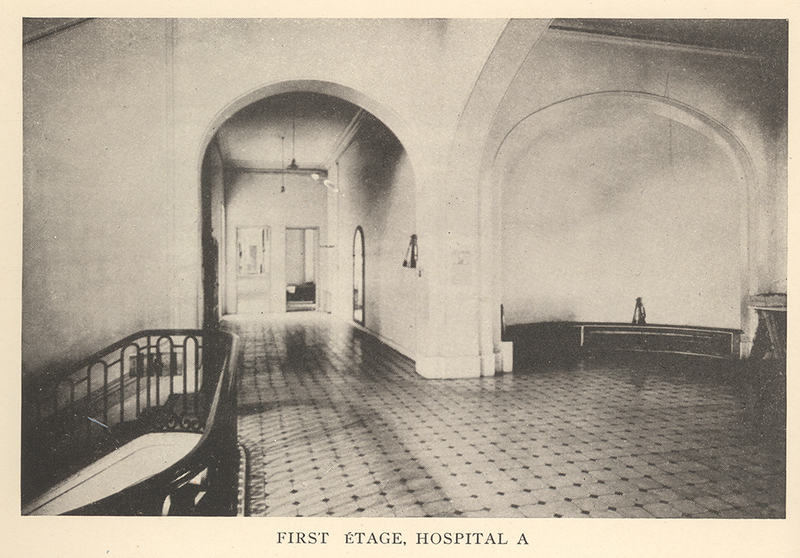 On the second floor were the salons and dining rooms, which were to be converted into surgeries, dressing rooms and the larger wards. 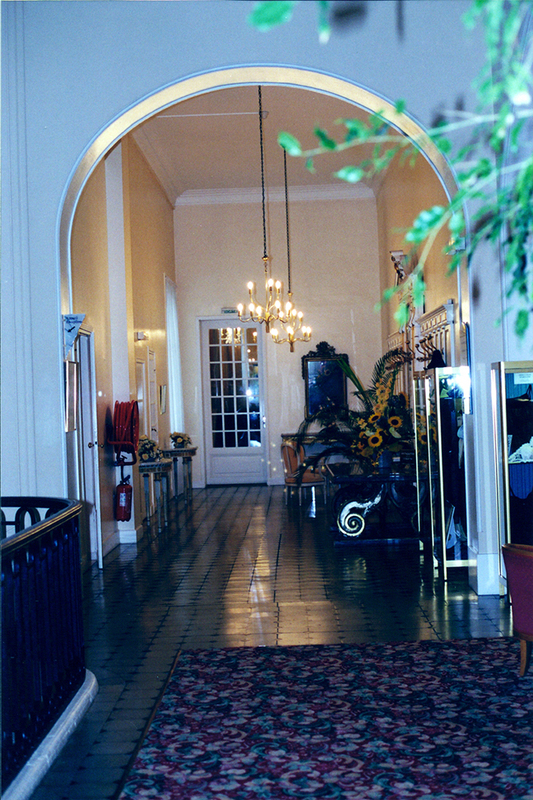 The rooms off the corridors leading to the rear of the building on this floor were assigned to the various specialists on the staff, and the dental rooms and pharmacy were also located here. 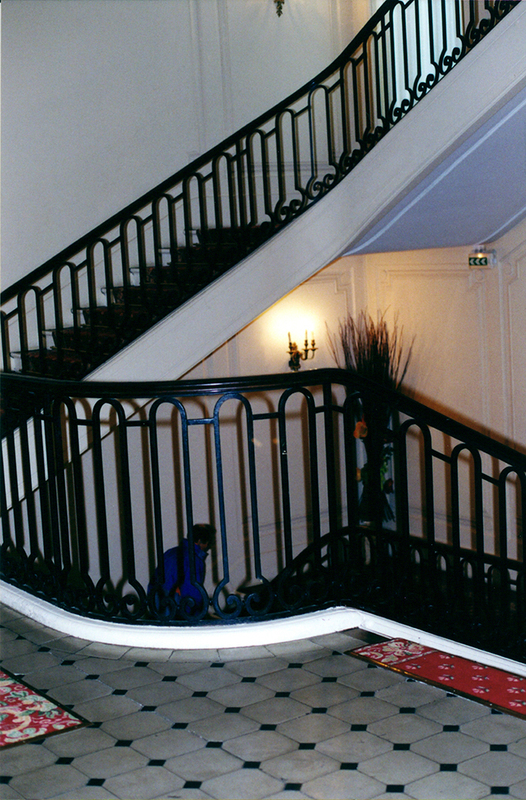 The third, fourth, fifth and sixth floors were almost identical in plan, each containing approximately twenty-five bedrooms of varying size, the majority of them with connecting doors, and a few with baths. 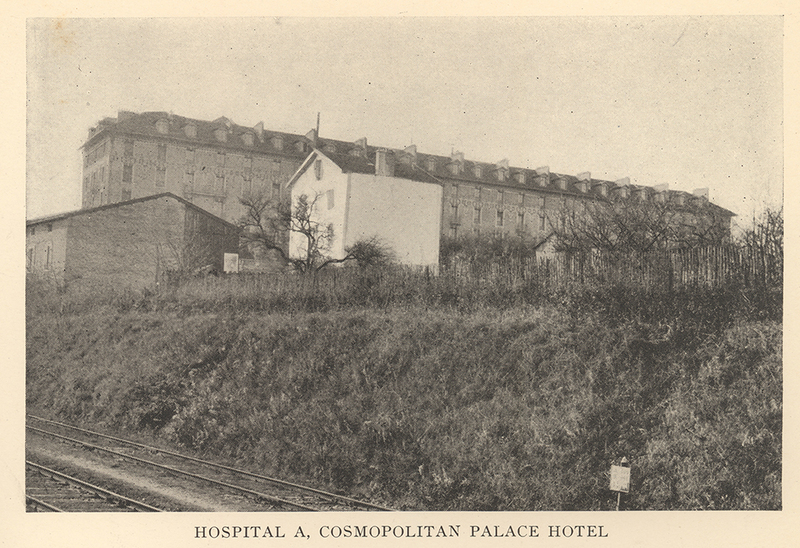 The capacity of the Cosmopolitain for hospital purposes was estimated at 500 beds, and it was decided to use practically all of the original Red Cross equipment to furnish this building, and to depend upon the medical supply depots for additional equipment for the others.